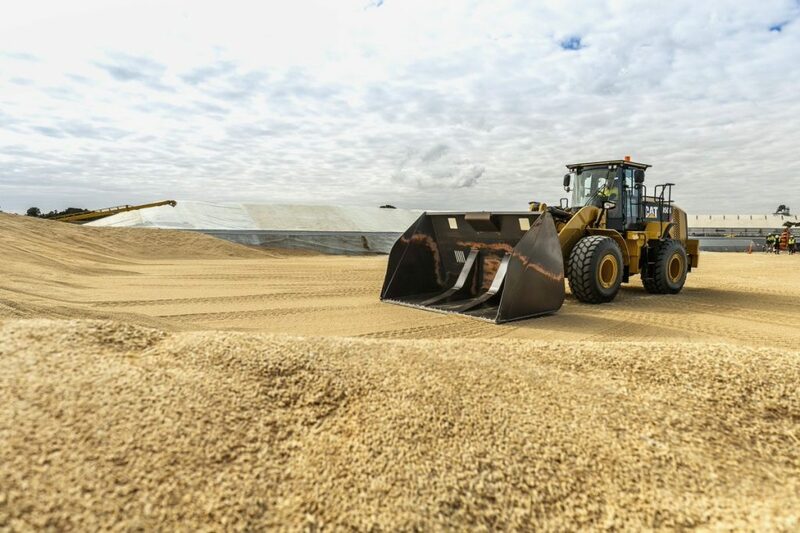 SPECULATION about attempts to import feedgrain from other countries have circulated for the past six months, as domestic grain prices have shot to unprecedented, crippling levels. Lotfeeders in Queensland and most parts of NSW have been left with few supply options, following successive northern crop failures. One estimate suggested close to 700,000 tonnes of wheat and barley had now made its way around the coast by ship from WA and SA, since July, as northern supply has dwindled, arriving in ports as far north as Gladstone. Veteran Darling Downs lotfeeder Kev Roberts, from Sandalwood feedlot near Dalby, is one stakeholder who is actively lobbying for the industry to re-visit the importation issue. A former president of the Australian Lot Feeders Association, Mr Roberts was at the epi-centre of the industry’s first and only feedgrain import episode that took place during a period of desperate nationwide grain shortage during drought in 1996. He thinks the time is again right for the industry to consider mounting a case for importation. 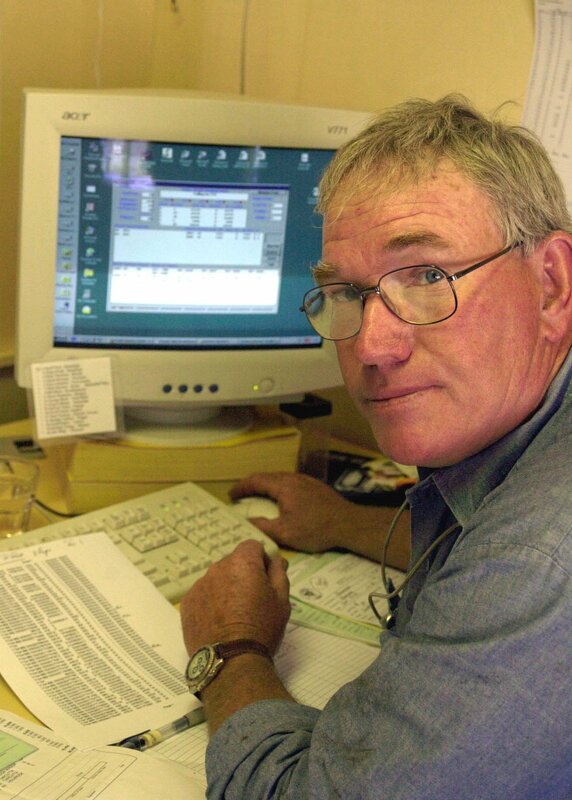 Mr Roberts said in 1996, Australia was in danger of running out of feedgrain. Then Federal Minister Bob Collins brought together the intensive livestock industries and various grain boards to come up with a solution to ensure grain access through import. “The grain boards were the only ones with any grain left in storage, and they were treating us (intensive livestock producers, including beef, pork, poultry and dairy) with absolute contempt at the time,” Mr Roberts said. In calculations he carried out a couple of months ago (domestic grain prices have only rise further since then), Mr Roberts arrived at a price advantage of $80/t in importing US corn, delivered Darling Downs, over domestic wheat/barley (adjusted for each grain’s energy and nutrient value). That calculation was based on corn out of the west coast of the US, imported into Brisbane. In 1996, an importation of some 50,000 tonnes of US corn for feedlot use was executed, along with other consignments of wheat/barley by the poultry industry, which was able to heat-process the grain at port to meet import risk assessment protocols. Beef feedlot operators who formed a consortium to undertake the 1996 importation paid for the development of a grain drying/heating process (whole grain, not steam flaking) which heated the imported consignment to temperatures above 90 degrees c, neutralising any weed or disease risk, and satisfying an AQIS risk assessment. At great expense, the imported grain was permitted to be taken up-country, to feedlot locations. Not long after the 1996 US corn consignment arrived, good rains arrived, and the grain supply pressure started to ease. “If lotfeeders were able to import grain this year, under a workable import protocol, it’s economical now,” Mr Roberts said. “While there is technically no grain shortage in Australia this year due to supplies out of WA and SA, current market prices for grain are as high as they are because suppliers know there is no way the intensive livestock industries can currently import grain,” he said. Mr Roberts said he intended to raise the matter of grain importation at the annual general meeting of the Australian Lot Feeders Association, being held in Brisbane tomorrow afternoon (Tuesday) during the industry’s BeefEx 2018 conference. He said he was disappointed with ALFA’s response to issues he raised with the industry body seven weeks ago over grain price and supply, and the prospects for importation, with government support due to current extreme circumstances. Mr Roberts said it was regrettable that the feedlot industry some years ago had chosen to discontinue long-running research into grain devitalisation treatment processes compatible with grain importation. He said there was no question that any suggestion of grain importation had to protect Australia’s high levels of biosecurity in terms of weed and disease risk. Mr Roberts said it was not too late for some form of grain importation process to be launched this year, given that new season sorghum was currently being bid for March delivery at $380/t. “This drought didn’t start yesterday. We knew at the end of March that Queensland lotfeeders were going to come under considerable price pressure. The industry should have acted then,” he said. The grain consumptive industries including poultry, pork , dairy ,feed manufacturing and lot feeders are rightly concerned at the supply and cost of grain for the next twelve months. No one can claim sea freight on imports from other states and feed manufacturers must pass it on. There will be a grain shortage in QLD and NSW until the next winter harvest and the scare mongering against grain imports show ignorance. Grainco installed a Heat Treatment plant at port so grain could be transported upcountry and there may well be more efficient ways in denaturing imports now. The protocols have been in place for years and objections are simply scaremongering. Federal and State Governments were better advised to fund denaturing plants at port than all the other drought assistance as droughts effect consumers in non droughted areas. Strange how Governments are selective in FREE TRADE but fail their own producers in times of feed shortages. Given the growth and efficiency of the feedlot industry and the dependance of all cattle producers on them buying feed on cattle it is logical that processes are in place for imports as the need arises. This situation may only increase in occurrence in the future, as we move to more and more cattle being finished on grain as per market demands of younger finished cattle, and if live export of cattle were to end, then there would be even more demand for grains to finish those cattle that would ordinarily be exported. On top of that is government restrictions on increasing the amount of land put under crop in Australia so the amount of grain available will not increase. Whilst I can sympathise with Lot Feeders in regards to the current price of stock feed commodities due to shortages brought about by the drought, I would urge caution in regards to the discussion around US Corn, I am not sure I would be that happy if I was an Australian cereal crop producer faced with the prospect of having to compete with US corn, due to fact that they are unlikely to be competing on a level playing field. Kev Roberts mentions that this drought didn’t start yesterday, and he is right, but are we not at the point where we need to look at this as a whole of industry issue? We are all probably guilty of a certain level of gouging in certain ‘supply and demand’ situations, this is the issue, how do we address volatility in the supply chain? We have to recognise that at times we all face viability issues, as a non intensive producer, due to some recent less than favourable seasons I have had reason to be extremely thankful for the expansion in the feedlot industry, it has given me options not available until recent times. The other thing that we should be mindful of at this stage is the fact that our processing industry has kept prices at a good level. Kev, I feel your pain as far as the pressure this has put on the lotfeeding sector of this industry, but what is required here is a preparedness plan put in place that has whole of industry input and support. As we move forward, is it not possible that a level of collaboration not seen before may well be the real competitive advantage we need to ensure our industry’s viability in what is an ever increasingly competitive global market? In on going discussions about the positive future of Agriculture Australia, one of the biggest opportunities is for our Industry to lead and drive discussion on current/future issues and risk mitigation for us and our bankers, I think the discussion raised in this article is one that needs to be fully thrashed out.